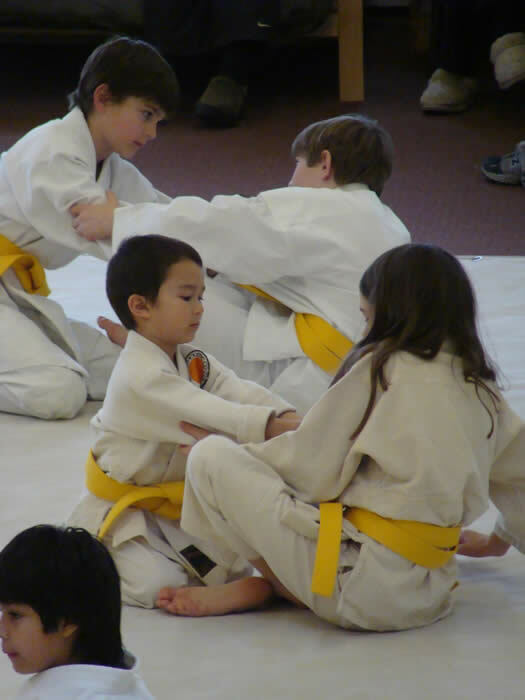 First day beginners and advanced students alike benefit from the daily routine of immersing themselves in training. We have found that the kids make greater progress in a week’s time than they would by practicing the same number of hours, spread over a couple of months! 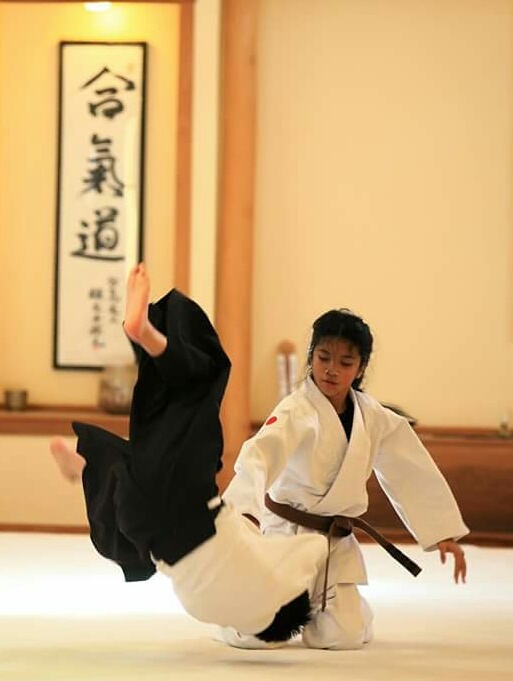 Games are interspersed with classical aikido techniques to maintain a lighthearted and focused environment. A snack is shared each day and time is set aside for self-directed play where children make up their own games. Everyone has lots of fun and comes away from the camp with a sense of accomplishment! Recommended for children ages 6 & up unless otherwise specified. $185 for 5 half-days. Training starts at 9:00am and finishes at 11:30am. *Junior Camp which runs 10:00am - 11:30 cost is $150. Children can be dropped off 30 minutes before the camp and picked up 30 minutes after camp each day. Spring Break Camp: April 8 - 12, 2019. For ages 6 and up. Camp #1: June 24 - 28, 2019. For ages 6 and up. *Junior Camp: July 8 - 13, 2019. For ages 4 - 7 years old. Starts at 10:00am. Camp #2: July 15 - 19, 2019. For ages 6 and up. Camp #3: July 29 - Aug 2, 2019. For ages 6 and up. Camp #4: Aug 5 - 9, 2019. For ages 6 and up. Advanced Camp: Aug 12 - 16, 2019. For Brown Belt and Black Belt kids only. Due to the overwhelming popularity of last year's Jiu Jitsu camps, we are offering two this year! Drop off between 8:30-9am and pick up between 11:30-noon. $185. Ages 6 and up. No prior experience necessary. BJJ Camp I: July 22 - 26, 2019. For ages 6 and up. BJJ Camp II: August 19 - 23, 2019. For ages 6 and up. Please check back for our next Family Day. All ages welcome and no previous experience necessary. 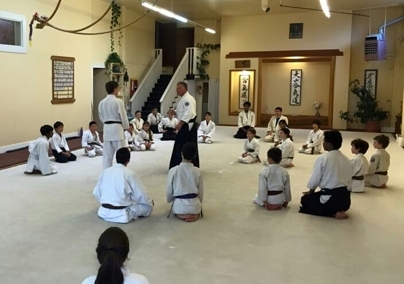 Come to the dojo with your friends and family and have a great time learning some aikido techniques, playing some games and sharing a fun hour together! $30 for the first couple, $5 to add extra people to your group. 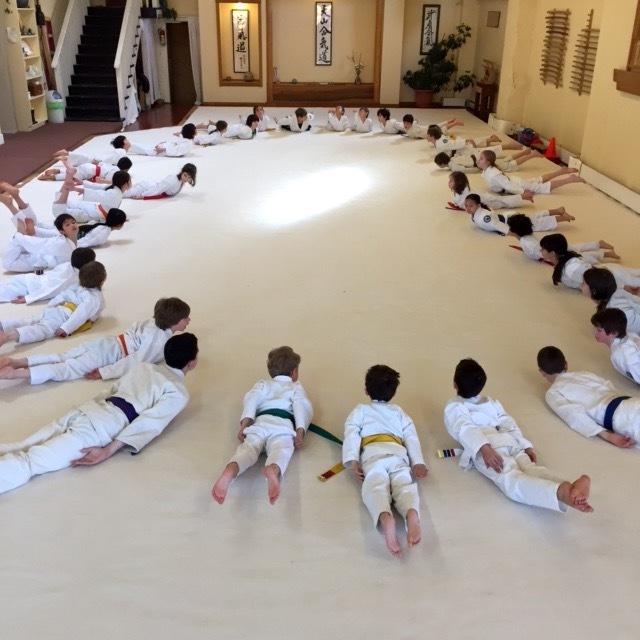 Pizza + potluck in the BJJ studio, playtime on the mat with parents, your aikido friends and even the teachers! This party is a favorite community event, date to be announced!